Everyone wants amazing skin, and with the sheer variety of amazing products that are available on the market today, achieving skin that you’ll want to show off is now easier than ever. With the summer well and truly on it’s way, skin will be more on show than ever (provided we’re lucky enough to get a few more warm days! ), so now is the perfect time to really make an effort. After months of being wrapped up in winter woollies, it’s a pretty safe bet to say that most of us could do with giving our skin a little TLC, and a little time and attention is all it takes to get it back to its best. Using the right products is key, and a hydrating body wash and moisturiser is vital. 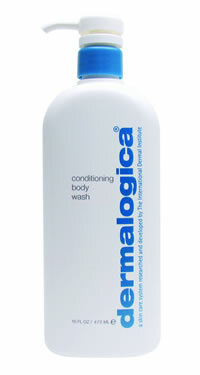 Dermalogica Conditioning Body Wash is great for all skin types, and is soap-free to ensure that the skin is not stripped of any essential oils. Moisturising after every bath or shower is also imperative, and helps to replace any lost moisture. Regularly failing to moisturise is the quickest route to dehydrated, dull, dry skin- which will leave it looking as though it’s seen far better days! Start treating your skin now, and prepare to bare as the temperatures start to climb!